It’s been a while since our last European Deadly Sins series. And it so happens I’ve recently regained access to a few documents pertaining to the darker secrets of the automotive history of my birth country. So let’s grab a shovel, go to the French section of the Graveyard of Marques and examine today’s first corpse: Berliet. 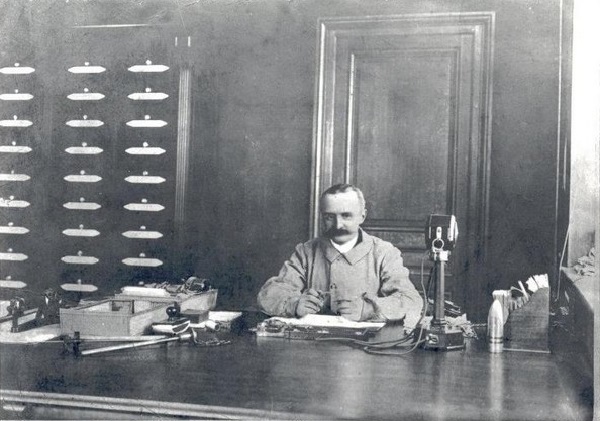 Marius Berliet (1866-1949) at his desk, in the first years of the 20th Century. Born and raised in Lyon, Marius Berliet started working in his father’s satin loom in the 1880s, but soon displayed a consuming passion for all types of mechanical achievements, building his first petrol engine in 1894 and his first car in 1895. 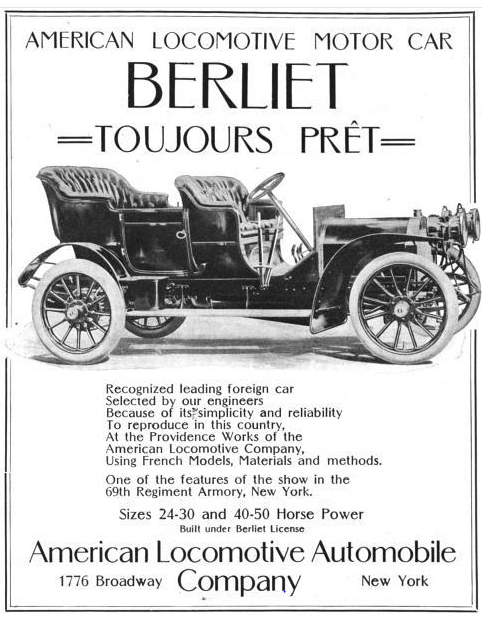 The Berliet automobile company was founded in 1899 and quickly became one of France’s most important suppliers of all sizes of cars and trucks, the latter being especially renowned. The cars were also widely recognized as well-designed and durable, leading to Berliet’s 1905 licensing deal with the American Locomotive Company (ALCO). In memory of this transaction, which provided him with the means to build a completely new factory, Marius Berliet decided his creations would bear a locomotive as a logo. After the First World War, the skies darkened. 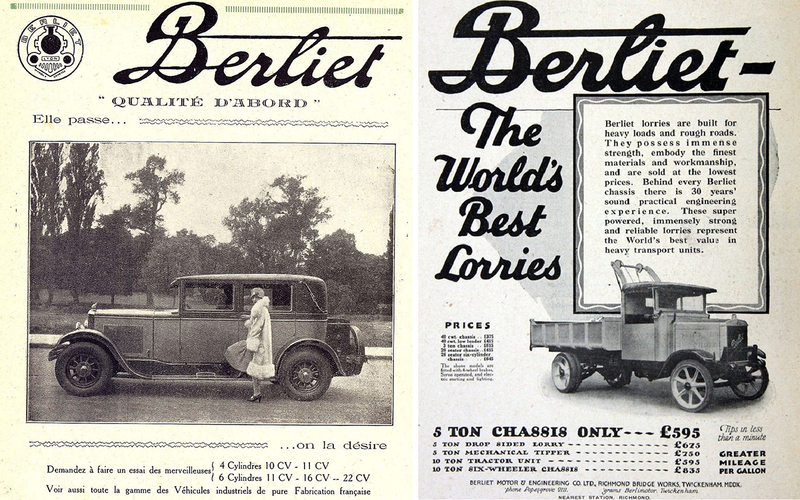 From 1919, the sale of Army surplus pretty much killed the truck market for three years and forced Berliet into administration in 1923. Marius Berliet stayed on as technical director and managed to regain full control in 1929. Berliet’s new post-war car, the 1919 Type VB, was rushed to production before it was ready. It was the first Berliet to fail in the marketplace. The company nonetheless launched a large number of successful models during the ‘20s, most of them with 4-cyl. engines (all flatheads, but some going up to 4 litres), but also some 6-cyl. chassis. 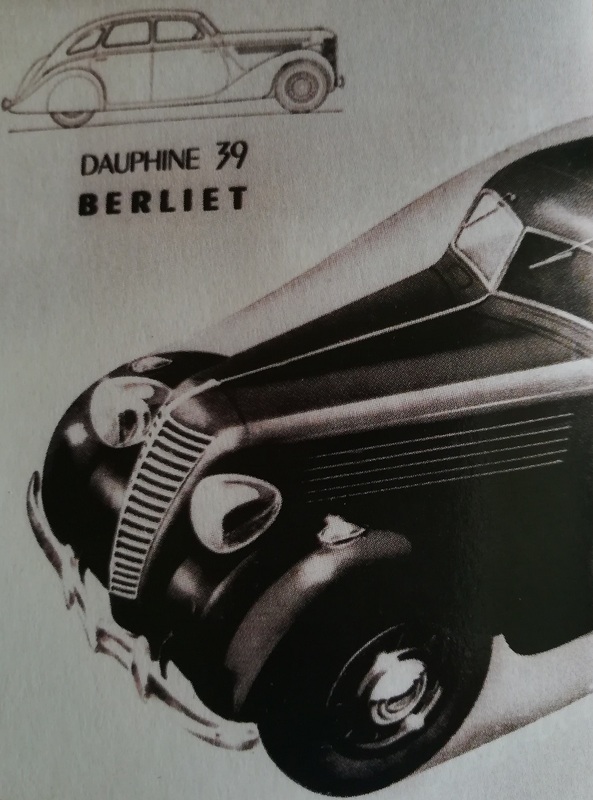 Berliet’s mainstay in the ‘30s: the 9 CV (1931) turned into the 944 (1934) and finally Dauphine (1938). 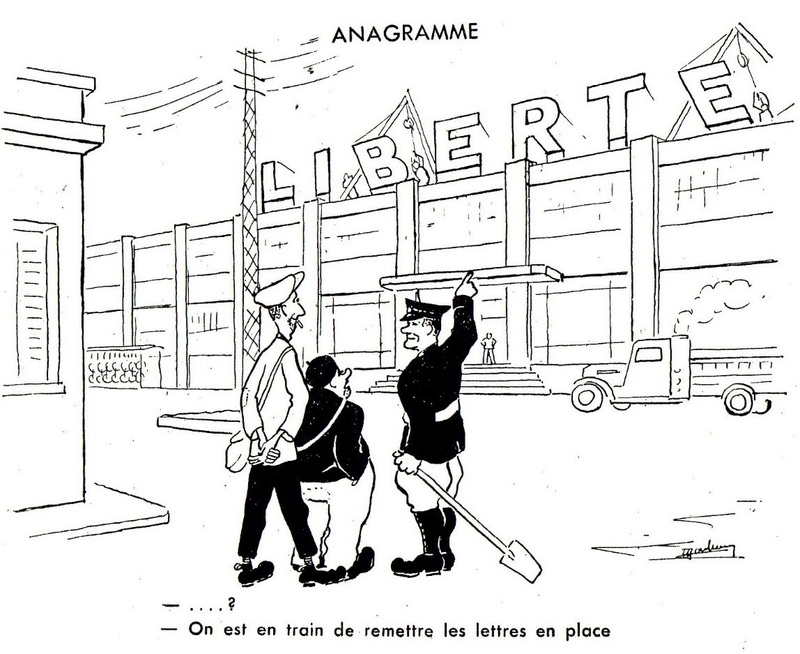 By this point in time, Berliet’s automobile branch had become a small outgrowth of the main business, which was trucks, buses and motorized trains. 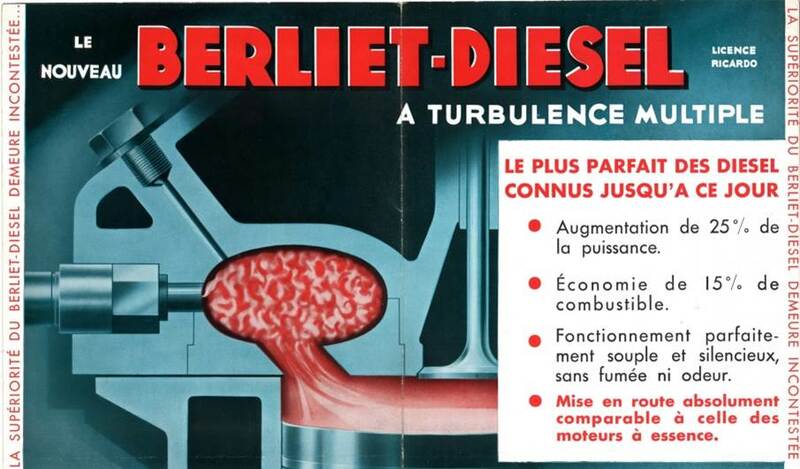 Berliet had invested in Diesel technology and developed a gazogene set-up (i.e. a wood- or coal-burning gas engine) for their vehicles, all of which was to be essential to the company’s future. The cars, though, were not really getting the company’s full attention. The few concessions to modernity were the independent front suspension, which was apparently quite good for the time, an engine with overhead valves and a well-made 4-speed gearbox. But otherwise, it was all quite middle-of-the-road: mechanical brakes, dated styling, heavy chassis, wood body with steel panels, no phone, no pool, no pets. 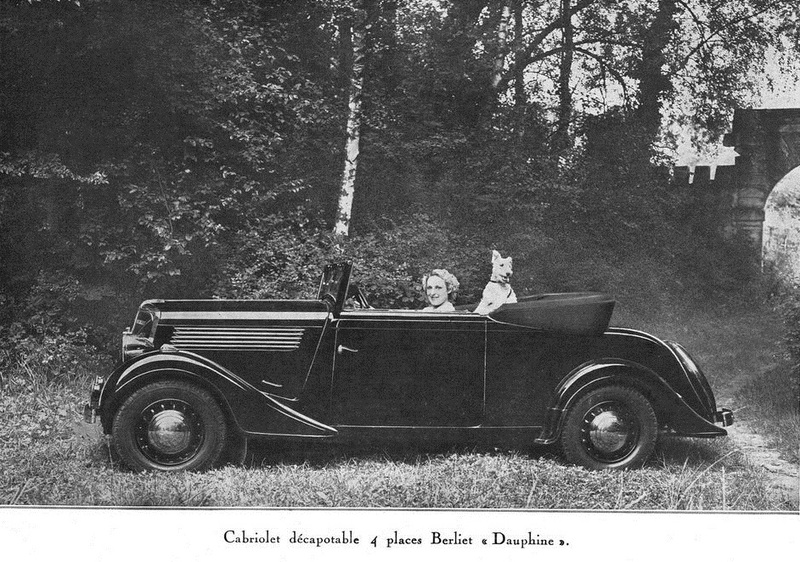 The Dauphines sold in decent numbers, for they were not very expensive and Berliet’s reputation for durability endowed even their dowdiest products with an aura of value for money. Berliet commonly celebrated the “Frenchness” of the marque – more so than most. The going was still pretty rough. The Depression triggered both nationalistic and left-wing unrest, culminating in the 1936 Popular Front government. Industry was badly affected by a slew of strikes, even as the government imposed a number of new laws favourable to labour. There were lockouts, pickets, confrontations and many old-style automakers were experiencing these events with anguish and anger. Ettore Bugatti retreated to Paris, leaving Molsheim to his son Jean. Louis Renault, a notoriously tough boss, rarely ventured outside of the lab and the design office after that date. Marius Berliet also felt betrayed by his staff and by the state. Though usually soft-spoken and cool-headed, he did not shirk from confrontation and kept seeing to any and all aspects of his flourishing business. 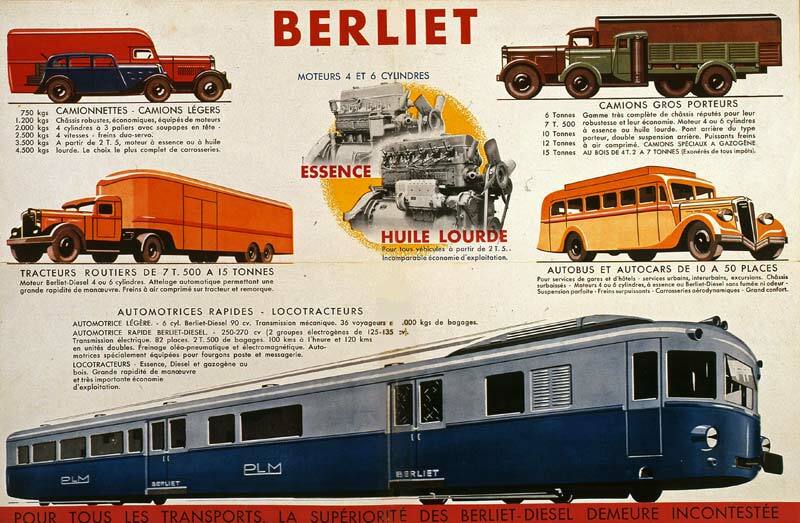 The truck and bus side of Berliet got a shot in the arm as, from 1937, France actively began rearming and Berliet’s products were high on the shopping list. Car production continued, but the manufacturer’s energies were obviously used elsewhere. The Dauphine was ageing noticeably. Marius Berliet wasn’t about to let his marque abandon the passenger car, though. He just needed time to focus on the issue. And the main issue was body production. A perennial problem for small and mid-sized automakers was always the sourcing of car bodies. Either one got the car body made by a third party, by the automaker itself, or one just sold chassis. By the late ‘30s, fewer chassis-only options existed – especially at the 2-litre 4-cyl. end of the saloon market, but some still clang on. 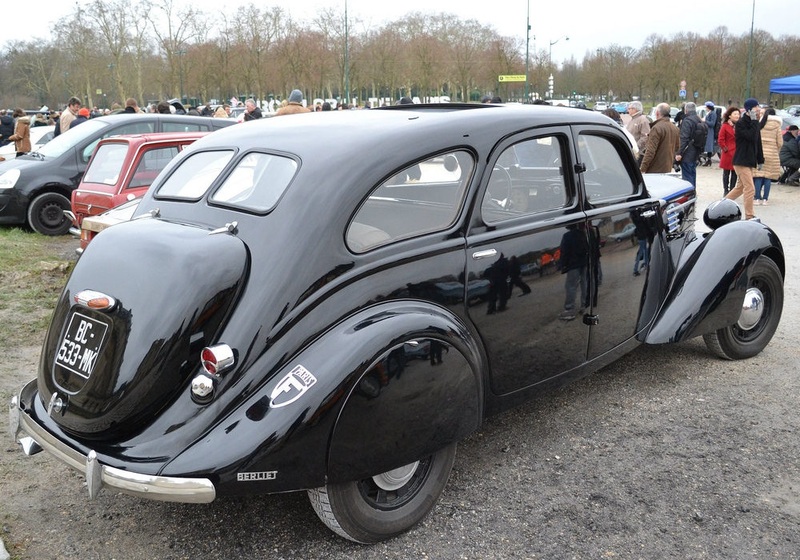 The Parisian carrossiers would often do a cheaper “demi-série” saloon with simplified trim in batches of several dozen bodies, sometimes shared across several marques. Berliet had clad their cars themselves up to that point, but the notion of an all-steel body was one that appealed to Marius Berliet. The durability of the body might now equal the engine and transmission. The only snag was the cost. And the lack of production space. And time – the old Dauphines were really starting to smell. So the obvious solution was to buy a body from someone else. This left a few options. There was Chausson, the only independent industrial body-maker. They were mainly working with Matford at the time, and owned the Chenard-Walcker marque – direct competitors to Berliet… There was Citroën, who supplied bodies to Licorne and Delage (as well as 4-cyl. engines to over six different marques). 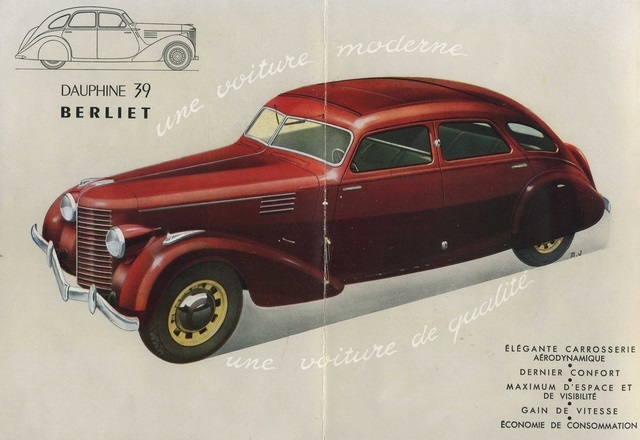 Renault made all-steel bodies for their bigger cars now, even providing a few dozen bodies to Delahaye. Panhard also had a unibody, but it looked like a Panhard Dynamic and nothing else. For whatever reason, Marius Berliet eschewed all of the above and knocked on Peugeot’s door. The quite comprehensive 1938-39 Peugeot 402 B range. Standard wheelbase 6-light sedan at centre. Peugeot duly obliged. 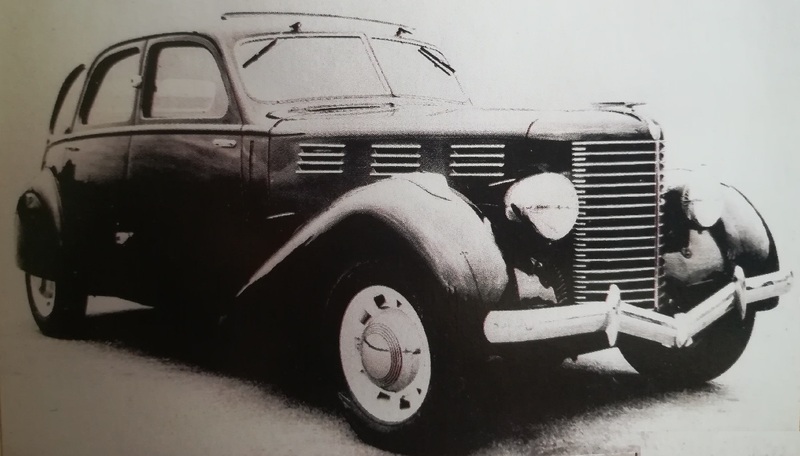 From late 1937, the new Dauphine was getting created out of the Peugeot 402 6-light Berline body, the middle child of the Peugeot’s successful 402 family since 1935. 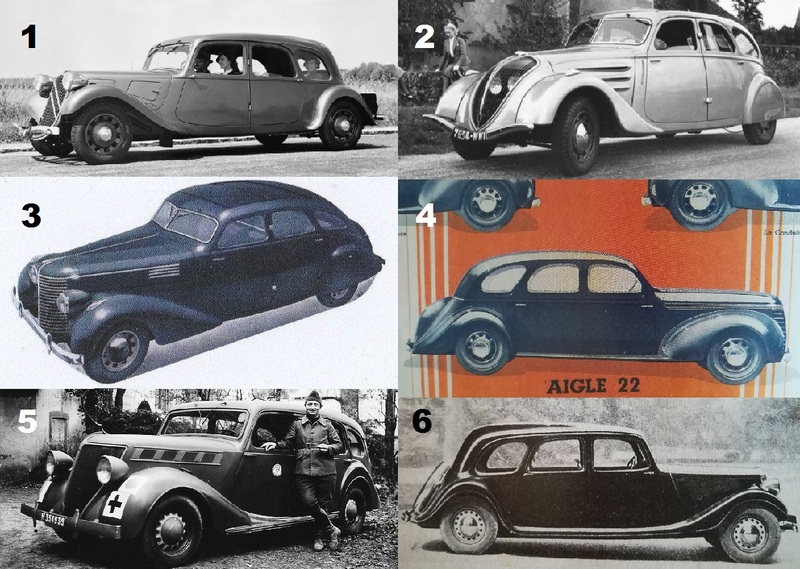 Other models included the new-for-1938 short-wheelbase 402 B Légère (top left, basically a 302 body with a 402 hood and engine). There were also a two-door hardtop coupé, coupé découvrable and a roadster (middle left). There was also a LWB (330 cm) Familliale 9-seater limo (bottom left), Commerciale wagon and the legendary Éclipse coupé-cabriolet (bottom right). On top of that, the Pourtout-bodied Darl’Mat specials (middle right), freshly crowned at Le Mans, didn’t hurt the Peugeot’s image. The 402 was a great choice. Berliet set his styling department on the Peugeot and they hesitated. It’s not an uncommon thing, especially in those days. A lot of cars were premiered one year ahead of their intended production date, and sometimes this meant important changes. As we can see from the above summer ’38 advert, the exact styling of the new Berliet was not set in stone until quite late. But then neither was the rest of the ’39 range. 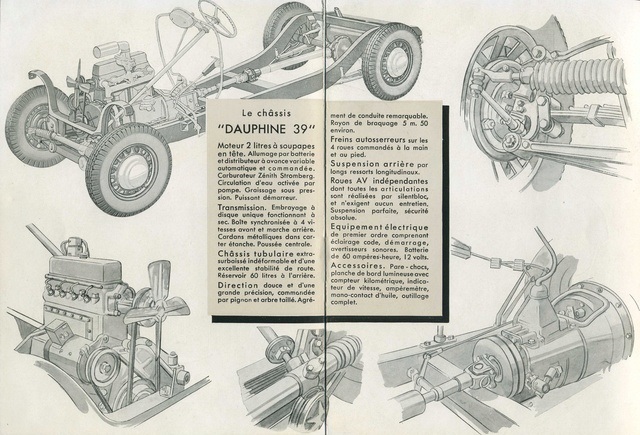 This other summer 1938 advert shows a prototype “Super-Dauphine” (i.e. an old-style 1938 model, which were still available for 1939) with a grille that production cars never got. PR misfires aside, the aim was now to get a couple of the new Peugeot-bodied prototypes ready for the October 1938 Salon de l’Auto in Paris. New publicity material was also created with the (sort-of, but not quite) finalized look of the Dauphine 39. Aside from its length, the chassis was barely changed from the previous generation 11CV Dauphines. There was no point in tampering with the Berliet reputation. Alas, that reputation also included expensive parts and a torquey but unenthusiastic engine struggling under too much bodywork. The Peugeot body was a great improvement in terms of look though. The Dauphine 39’s successful rhinoplasty aside, were a lot of big 4-cyl. French saloons on offer at the 1939 Paris Motor Show. Berliet had to contend with dangerous rivals in the lower-price field, but if money was no object, one could get some pretty snazzy 2-litre cars in 1939, as we can see in the table below. Mechanical brakes? Well, that was still a thing, it seems. The all-steel body was a big plus, helping bring the price down to the Peugeot / Renault level. While Berliet were allied to the latter, the former (see 1939 range above) were a formidable juggernaut, making everything from railcars and airplanes to buses and a myriad of automobiles, from the small 1-litre Juvaquatre to gigantic straight-8 monsters and everything in between. The other mortal enemy was the Citroën Traction Avant – modern, extremely spacious and competitively priced, it just received an extra 8hp with the new “Perfo” engine. But it wasn’t just the Big Trois. There were the Delahayes, Salmsons and Talbots of the world, too. Expensive, but an attractive second-hand proposition. A touch of style, more power – at a steep price. And Hotchkiss and Licorne, the in-betweeners, fielding a dozen variants of essentially the same car, perhaps in an effort to overwhelm the client’s discernment so he’ll buy the more expensive combination possible. And let’s not forget that the 1930s were cruel and cut-throat times. 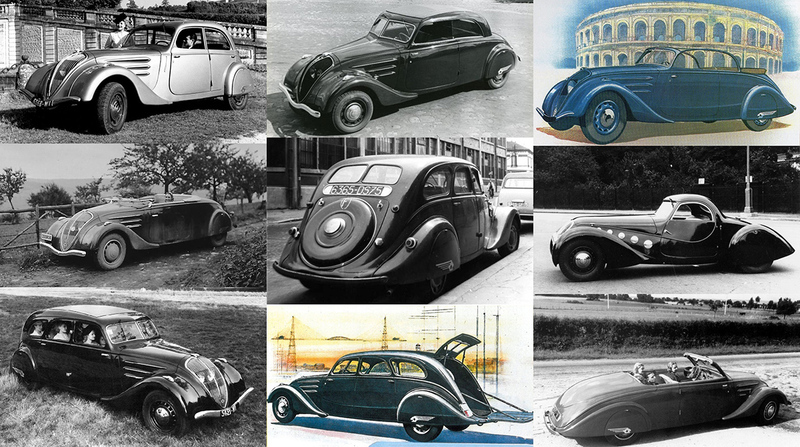 Two or three major French car marques died every year of that decade, and 1939 was no different. The pantheon of defunct automotive legends invited in a new member as the sun set on Voisin’s automobile branch. 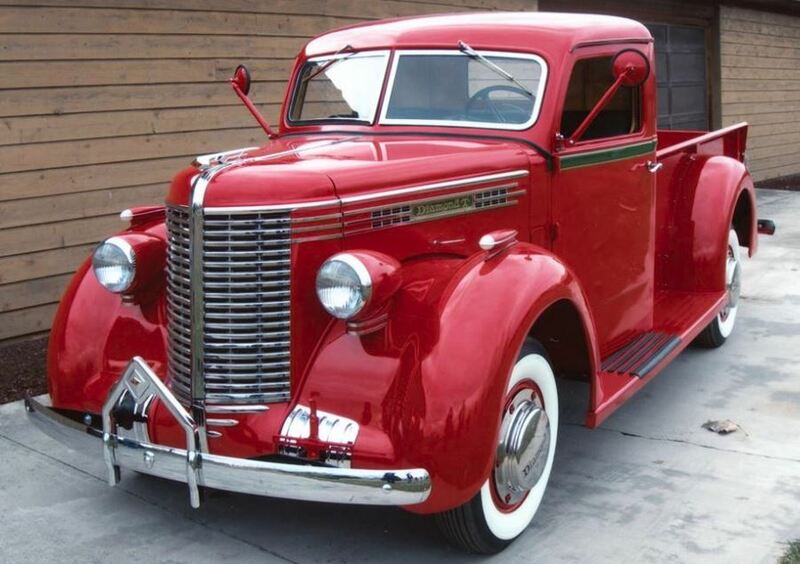 And although less of a legend and more of a footnote, Unic only had its mid-’38-made stock of U4 and U6 chassis to sell for the 1939 model year, opting to focus solely on trucks from then on. 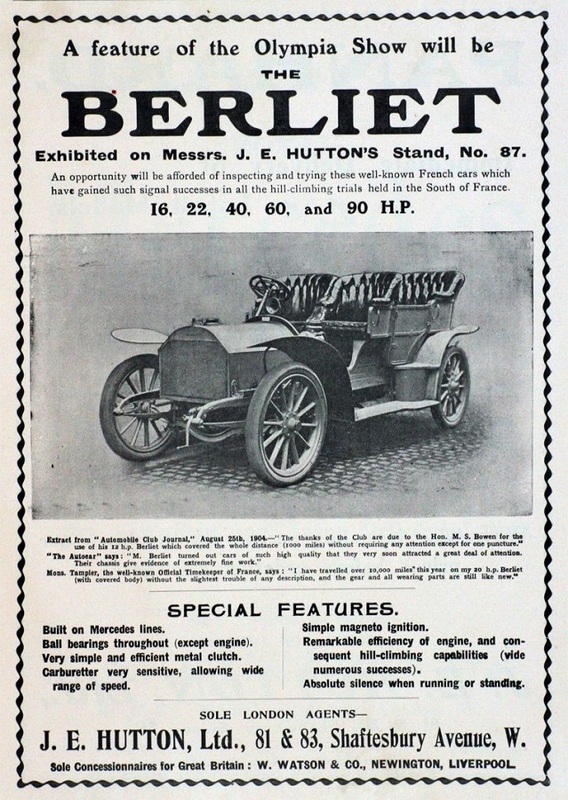 Berliet’s brochure still featured a pre-series car. Aft of the A-pillar, it is almost identical to the 402. 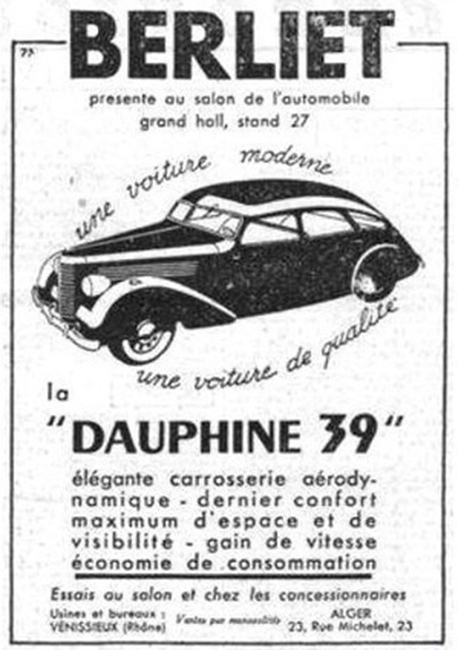 About 200 Dauphine 39s had been sold by late June, when all private car sales were put on hold by Government edict. Soon after, the French Army called dibs on any and all new cars in stock, buying the lot. A few dozen Dauphine 39s became Army staff cars, along with the old generation Super-Dauphines that were left over. Production ground to a virtual halt after the Declaration of War in early September. There were still dozens of Peugeot bodies, 11CV engines and parts stocked around the factory. When the Germans arrived in Lyon mid-June 1940, they immediately requisition the twenty-odd Dauphine 39s that had been fully assembled in the previous ten months. Marius Berliet and his sons Paul and Jean – like the majority of French businessmen – had to make do with the occupation, though Berliet’s factories were in the so-called “Zone libre” until late 1942. The main carrot Berliet could dangle were their trucks. This allowed the factories to be kept busy, the bank accounts full and options opened. 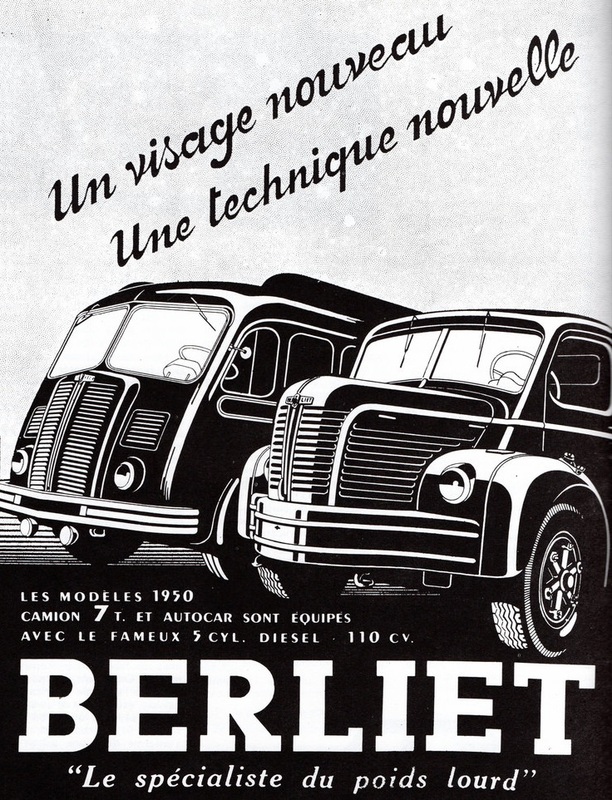 Berliet were also an experienced player in the alternative fuel conversion market, which was the only growing automotive sector (along with EVs) in France in 1940-45. Marius Berliet kept his eye on the inventory, though. 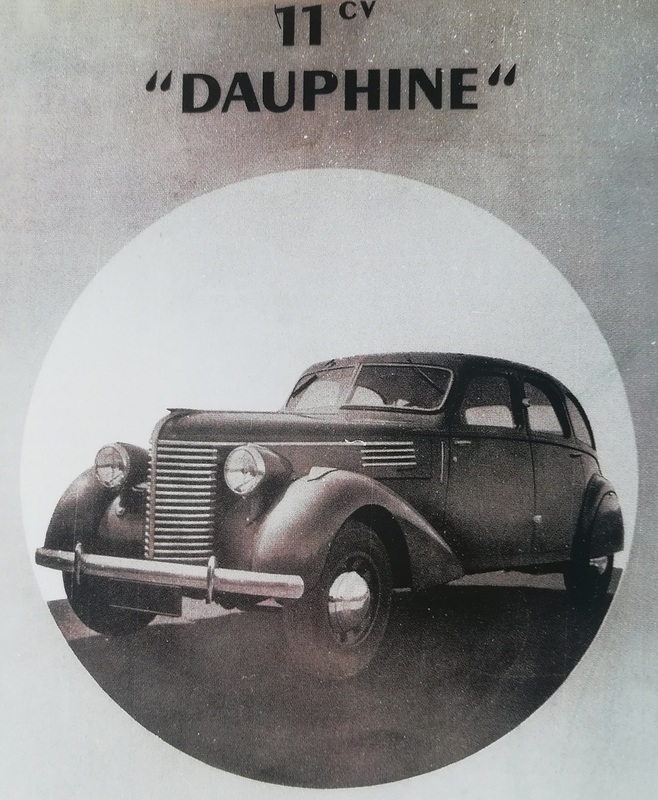 In November 1943, he had a thousand of the above leaflet printed – the only period publicity material that features the production Dauphine’s actual looks. In mid-1944, Dauphine production slowly resumed. The cars were only available in blue or black; about fifty were made until early 1945 when, presumably, the body supply dried up. 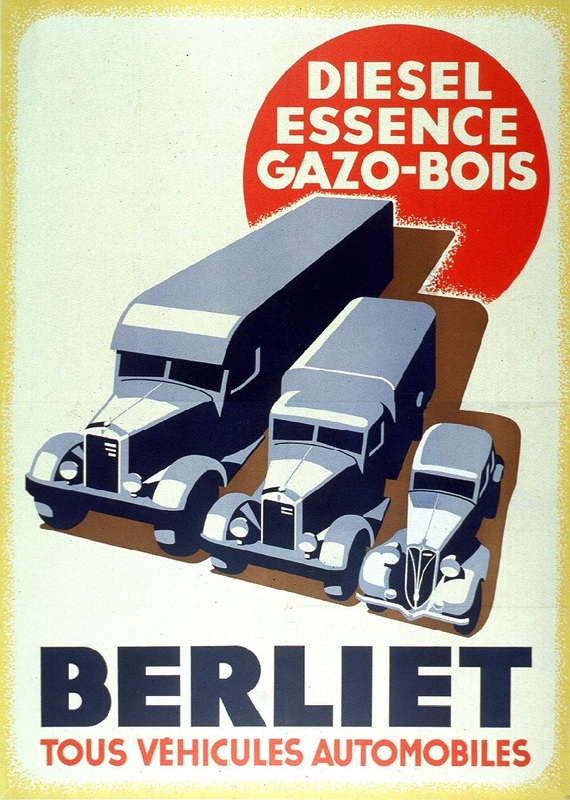 Berliet sold many trucks to the Germans, though far fewer than the Big Trois and Ford had; from 1940 to 1944, 85% of French vehicles were bought by Germany. However, a lot of Citroën, Peugeot and Renault trucks were sabotaged (by the automakers themselves) before the Germans took delivery; Berliets always worked great. When Lyon was liberated in September 1944, the general pandemonium, coupled with long-standing political vendettas, enabled a group of so-called Resistance militias to take over control by force and turn the Lyon works into a “self-managed cooperative.” Marius Berliet, now 79 years old, put in jail — initially for his own safety. This was soon commuted to house arrest, as he and his sons awaited trial for economic collaboration with Germany. 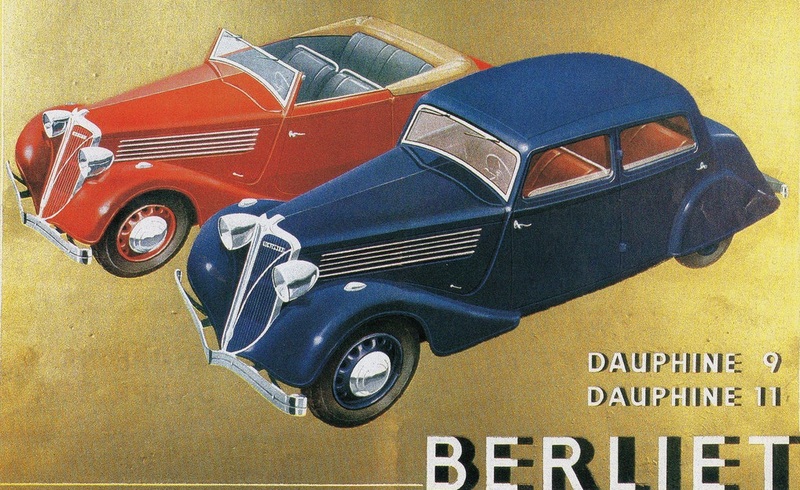 The Berliets narrowly escaped Renault’s fate: in October 1944, at the Prison de la Santé in Paris, Louis Renault died after a series of beatings; his company had been confiscated, in January 1945 it was nationalized. This justifiably terrified other French automobile CEOs — more heads were going to roll. Ettore Bugatti and Simca’s Henri Pigozzi, being enemy (Italian) nationals, were deposed by court order. They both soon managed to regain control of their factories, though Bugatti died in 1946, as did his marque. Gabriel Voisin was expelled from his aircraft works, which were soon amalgamated into SNECMA; Voisin moved to Spain. Even at Delahaye, there were attempts to force the executives out. On the other hand, Ford SAF’s Maurice Dollfus, an enthusiastic collaborationist by some accounts and a gifted opportunist by others (Ford had built three times as many trucks for the Wehrmacht as Berliet), had Dearborn’s full backing and escaped unscathed. François Lehideux, Renault’s (mistrusted) son-in-law and head of the Vichy régime’s automotive regulating body – an unrepentant collaborationist – managed to slither his way into Dollfus’ job in 1950. In June 1946, Marius Berliet and his sons Paul and Jean were sentenced to two years for economic collaboration and their possessions were confiscated. While the Berliets went through various appeal procedures, the State tried to buy back their shares in their company, which Marius Berliet categorically refused. 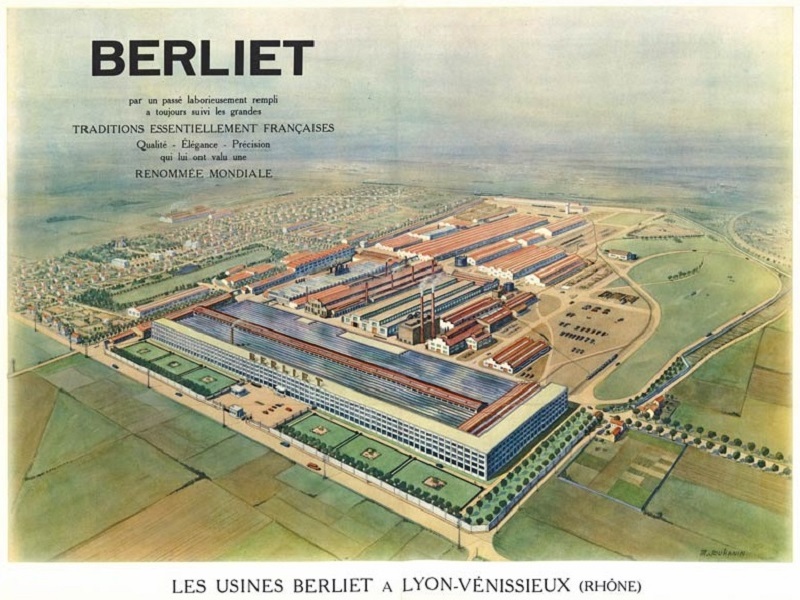 The factories were back in operation and new truck lines were being designed, but the legal limbo surrounding Berliet in the late ’40s hampered things quite a bit. The State blinked first: the Berliets were handed back control of their factories in December 1949 – eight months after Marius Berliet’s demise. 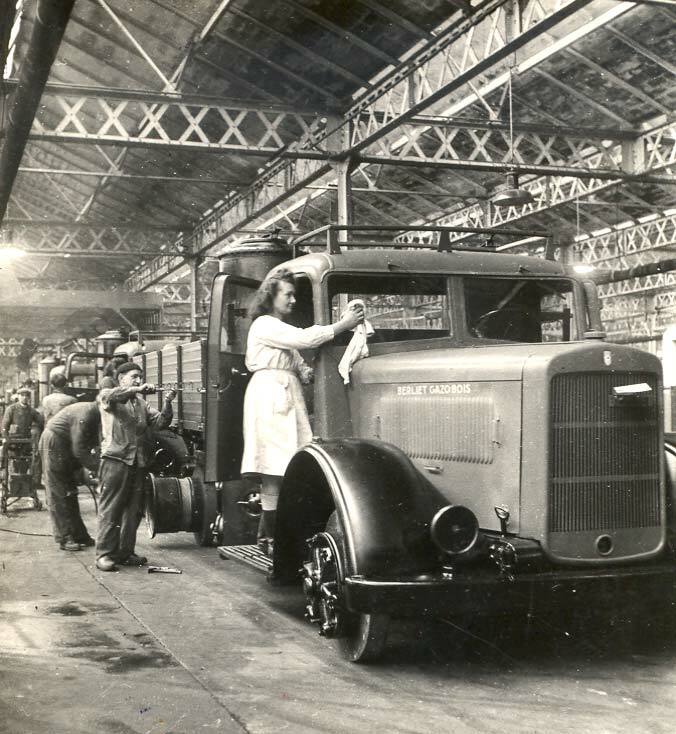 The last Berliet passenger car was assembled in 1945, but Berliet’s core truck business thrived throughout the ‘50s. Berliet trucks were crisscrossing Europe, the Middle-East, the Sahara and regions beyond on a daily basis. Alas, being the number one independent truck maker only makes you that much more of a target for a voracious predator from the auto sector. In France in the ‘60s, that hungry hungry automaker was Citroën. 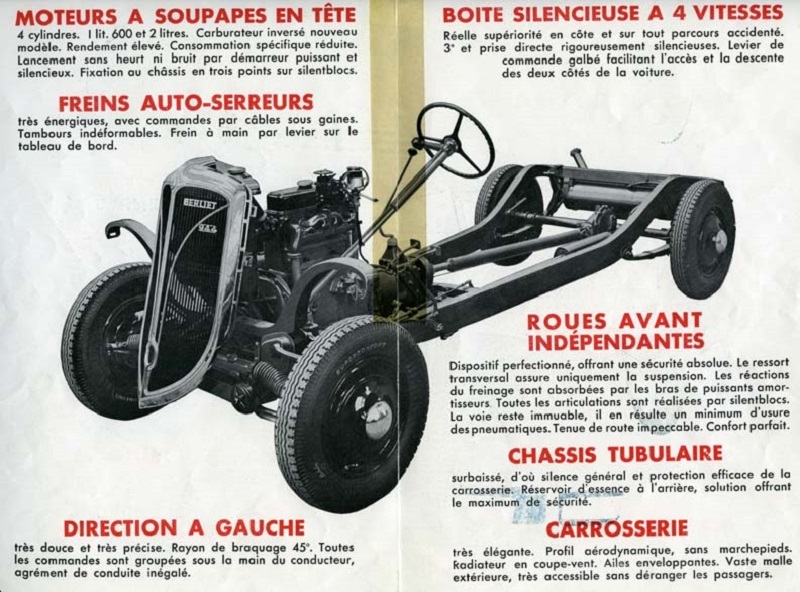 So having almost fully digested Panhard, Citroën helped themselves to some Lyonnaise cuisine in 1967. Citroën’s truck branch was taken over by Renault in 1975 and amalgamated with Saviem in 1978 to create Renault Véhicules Industriels. In 1980, the Berliet name finally disappeared, though Paul Berliet (1918-2012) stayed on as one of Renault’s vice-presidents. Was the Dauphine 39 a Deadly Sin? It has a shady wartime history. Don’t they all? The Traction, the 402, the Vivaquatre and all that lot. Yes, but the Berliet’s faux-American schnoz makes it look like an Anythingmobile, an unfinished prototype, a Tintin car. Of course, the focus on trucks, the war and Marius Berliet’s problems thereafter were the real “Deadly Sin.” The doomed Dauphine can be seen as a victim of circumstance – collateral damage, if you will. But somehow, having seen one of the few survivors in the metal, this car has something of a mysterious vibe to it, anonymous though it is. The decidedly odd fact that production resumed briefly in 1944 – at a time virtually no cars were being made – makes it even more suspicious. But not Deadly. That’s it for our little tour of wartime France in the cursed Berliet Dauphine. Tomorrow, we will go up a notch in terms of luxury and fast forward to the ‘50s, as we consider the fate of Salmson. Wow. Thank you so much for this article. The history of Berliet’s production of passenger cars was completely obscure to me (although I’m familiar with the make itself, mostly because of their Avia spin-off). Even more so is the history of Salmson’s, of which I only know that they produced aircraft engines before & during WW I, so I’m looking forward to the next one ! Licorne… never even heard that name. As for the car… it looks strange, but not unattractively strange. To me, it resembles a GM or Chrysler product from late 1930s with a custom body built by some French coachbuilder. Rack and pinion steering seems quite progressive for the time, even though many German cars used it already. Of course its anyone’s guess whether it could be a commercial success or not. Hehe… it’s French for “Unicorn” so I’m not surprised. They were in the small luxury car game – a niche that vanished after the war. Just like Licorne, who went out of business by 1950. Excellent history. I’d never read any of this before! The front clip is close to a ’38 Pontiac, and not too far from a ’38 Chrysler non-Airflow. If Chrysler had continued the Airflow in ’38, this might have been the result. 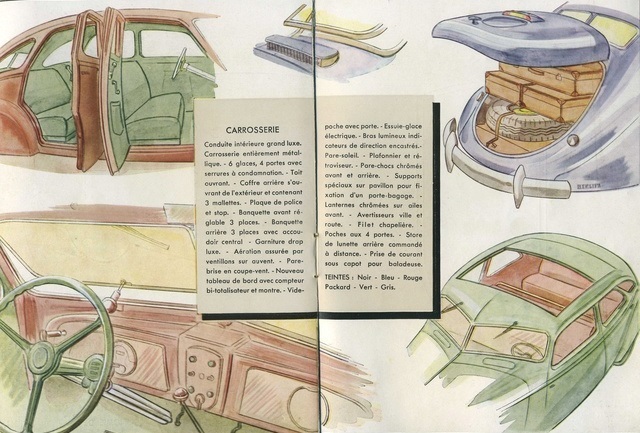 Berliet’s bulgy trunk spoils Peugeot’s perfect lines, but also matches Chrysler’s clumsiness. FWIW, Walter Chrysler was production manager at ALCO in 1906. Makes you wonder if a connection remained. It resembles one of the 1939-48 “Lord Line” Austins which were closely copied from the 1937-8 Buick. I love Tatra87’s series on automotive deadly sins and this chapter doesn’t disappoint. The front of the Dauphine reminds me of a Diamond T pickup truck. In this post is a great example of auto artwork “improvement”. 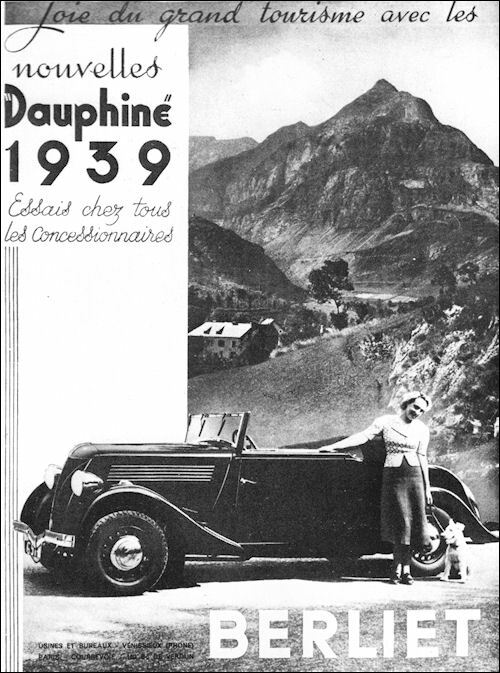 The 1937 advert shows a fairly stylish Dauphine sedan. Here’s what it looks like in a photo – much blockier. Those graphics are so juicy to look at. It ended up being an interesting shape; losing the circumference profile of the hood from the 402 stunts the front end. All that grillework plus the bonier volumes sort of makes the Berliet look ratrod. I’m seeing ‘37/‘38 Buick drawn with a t-square in the front end. There are few things more fascinating historically than collaboration charges in post war France. Details are still coming out as to who did what, and it’s pretty obvious anymore that a lot of Frenchmen joined the Resistance about 24 hours before the Allies marched into Paris. We have votes for Pontiac and Buick, but I was thinking ’38 Olds. The Diamond T truck had occurred to me as well. This is all new to me and a fascinating read. I find that Dauphine really attractive, like an American Chrysler Airflow in the back and a conventional generic sedan in the front. Business was a really complicated thing in France during and after the war. You help to emphasize just how messy it all was. Business was complicated before the war, because of the ’36 strikes, the Depression and (obviously) the coming of the war. It was much more complicated during the war, under German occupation and then Liberation by the Allies. 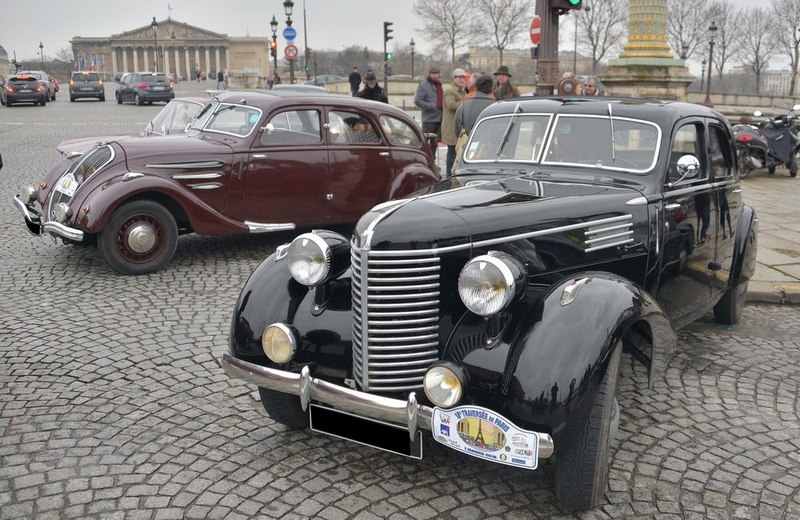 But it became even tougher after 1946, when the luxury side of the French auto sector completely disintegrated in about ten years, which we’ll see in the next couple of posts. Love these articles, thank you so much! I knew of Berliet trucks, primarily from ownership of a French Dinky dump truck, of the protruding-nose style shown in the 1950 ad near the end of Tatra87’s amazing post, but never knew they made cars. In fact, though I’d heard of Samson, Chenard-Walker and some other long-gone brands, there were a few here that were also new to me. The occupation and risks and benefits of collaboration were tragic. My paternal grandfather died in Paris in 1944 … as a foreign national, he couldn’t easily get food and basically starved, despite the help of neighbors, just a short time before La Liberation. I never met him. Others in the family survived. Another very obscure chapter of automotive history comes into the light of day. 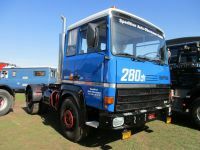 The history of Berliet other than a truck-maker was essentially unknown to me. Thanks for the education. It’s a graphic tale of how drastically different the industry was at one time, with so many manufacturers in just one country. My take-away from this particular story is how car bodies played an increasingly vital role, as car manufacturing evolved from building chassis to complete cars. The body-swapping that went on in France during this time is remarkable; undoubtedly unprecedented, in terms of this happening between competing companies. Imagine if Studebaker was buying bodies from Chevrolet, or Nash from Ford. That would really make for some interesting mash-ups. As for this Dauphine, it’s definitely not very organic; Don said it best: like a rat rod. This body-swapping era was a weird time, for sure. The Big Trois did it in the late ’30s because they were pressured to do so by automotive sector’s self-regulating body (never a great idea), whose members included all the small-time firms. From their point of view, all-steel bodies demanded an impossibly large amount of industrial and financial investment, so their survival depended on a bigger carmaker’s goodwill. The Big Trois needed to keep the smaller makers happy so they could lobby the government more successfully together. That policy was completely changed after 1945: the State tried to “rationalize” the sector, demand was huge and times were tough, which meant the big Trois weren’t sharing no more. Even engines were off the table. In 1939, Citroen were selling their 2-litre to Chenard-Walcker, Danvignes, Georges Irat, Licorne and Rosengart. After WW2, Citroen needed all the engines they could make for their Tractions. 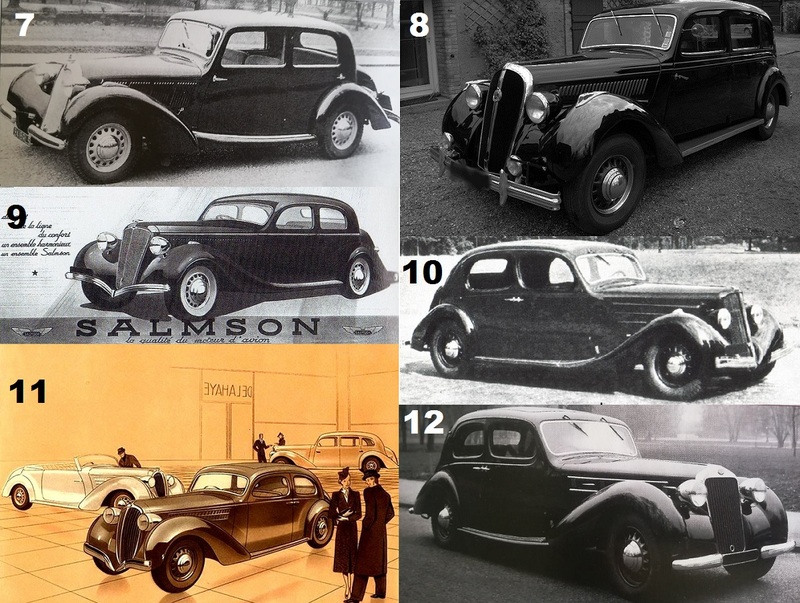 Body-sharing was more common with outside coachbuilders – not just in pre-war France, but in general. 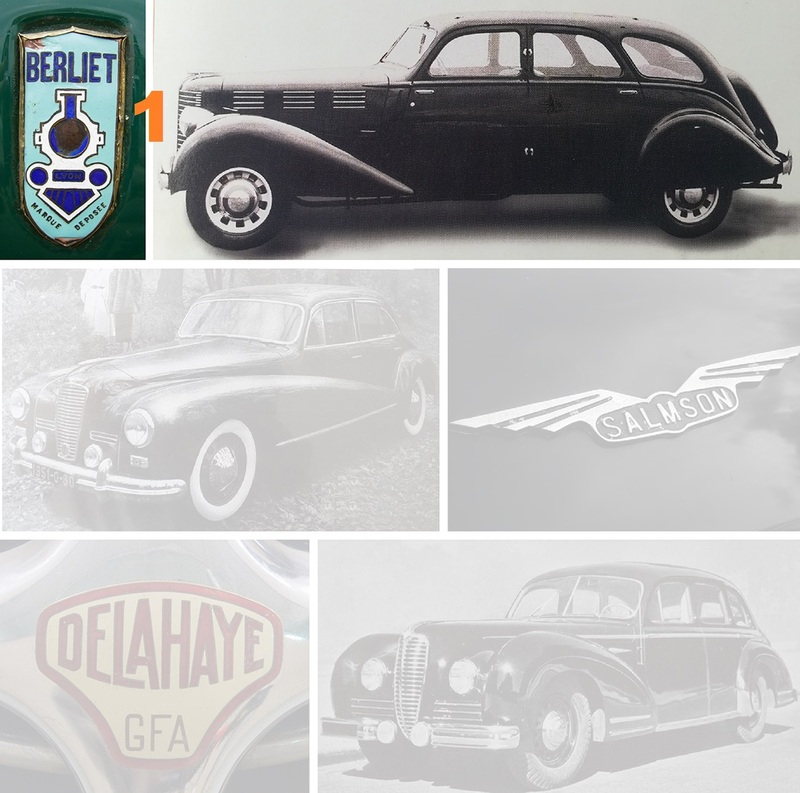 The Delage, Delahaye and Unic in the table all shared the same basic Autobineau saloon body. Given the cursed history of the Berliet Dauphine, it’s surprising that Renault chose the name Dauphine for their second-generation rear engine car. What an amazing morning read! A perfect coffee companion! What I love about CC is we never really know what will be posted here. I had no knowledge of Berliet until today. The pictures and graphics on the article are superb; thanks for much for the effort, as it must have taken a lot. A well written article Tatra 87. 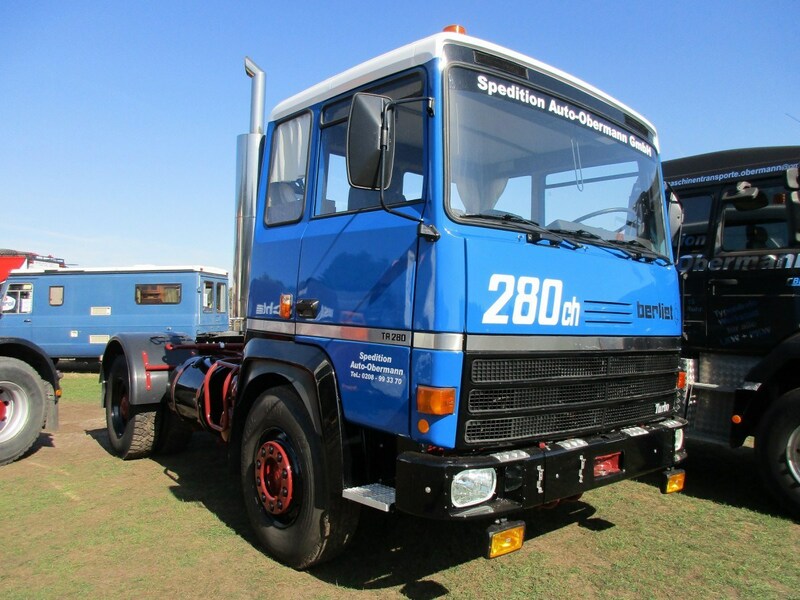 I´ve heard before that Berliet once buildt cars too, but didn´t know the story behind that. Until now. This body sharing system by the french automakers is really astonishing. Looking forward to the other two parts. Especially the one about Salmson because I know nothing more than the fact that the marque excisted. Btw: Is a Berliet a limousine or a sedan (berline in french, I think)? The Dauphine 39 would be a “Berline six glaces” (six-light saloon) but not a proper Limousine, as that usually means LWB. But it’s a fine line – and a long car. 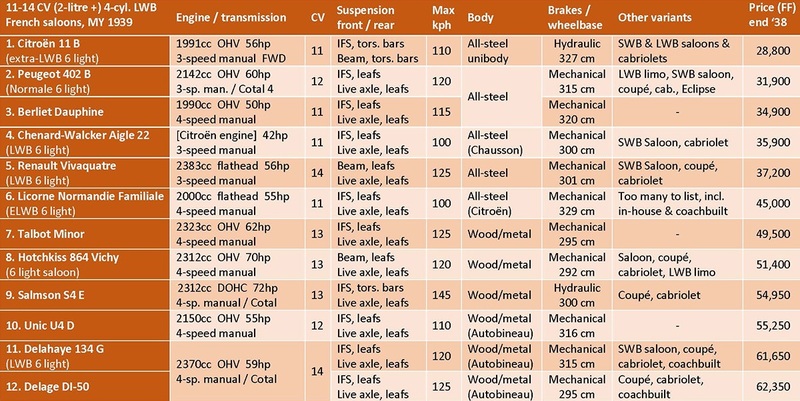 In the comparo table, I tried to find six-light LWB versions (e.g. the Citroen 11 Longue, which they did call “Limousine”) whenever possible. The 402 body was big enough to compete with those. 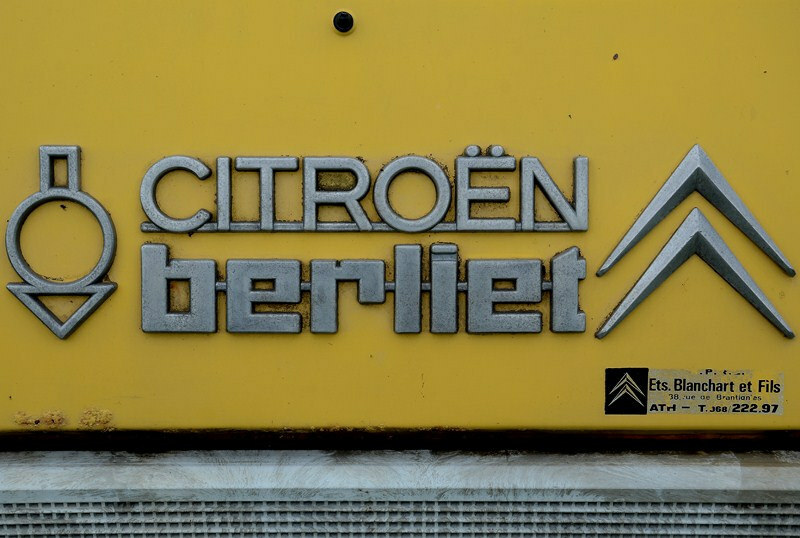 The name Berliet will always be a part of my childhood, growing up in Poland in the 1970’s. 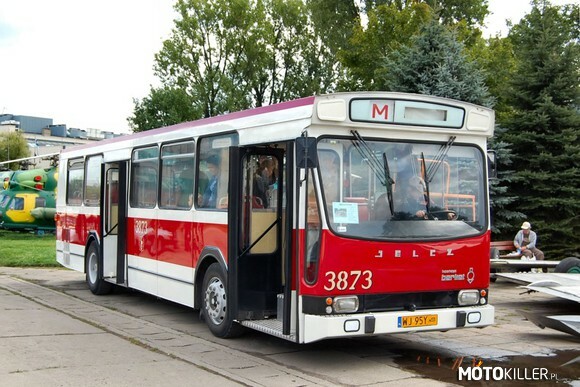 The Berliet PR100 city buses were purchased for the city of Warsaw and later produced under licence by Jelcz, the Polish bus manufacturer. At the time, these were considered very modern, however, they had weak frames and were under-powered. As such they did not last more than a few years and were replaced by the Hungarian Ikarus. Fine article on an obscure make and model, thank you, very informative. I’d venture the frontal styling was influenced by the ’38 Cadillac 60 with its stacked horizontal bars and three groups of hood vents. The transition from composite construction to all-steel was a major costly huddle for all small automakers in the 1930’s. Whatever your political views, the “putting the letters back in the right order” cartoon is clever. The bluff front just doesn’t go with the rest of the car. Well thanks T, for filling in the blanks! I’m quite familiar with Berliet’s post 1970 heavy COE trucks (the cab was also used by Ford for their Transcontinental), but for the rest Marius Berliet was some sort of mythical man to me. You’re welcome, JD. Your posts fill in my (considerable) blanks on trucks – CComplementary, isn’t it? 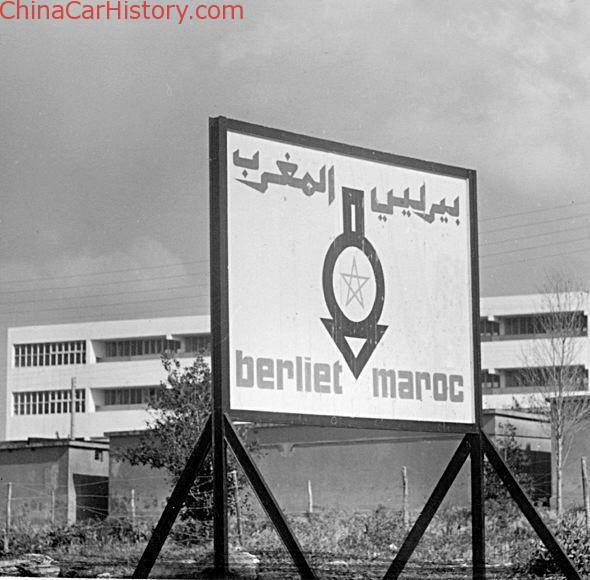 Berilet trucks were exported to China since 1958. To bypass the embargo, they were produced in Maraco and Algeria. Over 10 thousand copies were send to China, mainly for military to pull its heavy artillery. 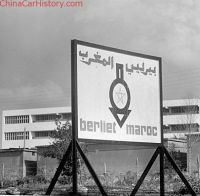 China also copied its design to produce its own version of Berilet trucks which upset Paul Berilet, a main figure of this whole affair. Well, well… Plus ça change, plus c’est la même chose, as we say in Fa Guo. Not sure they were built in North Africa though. Perhaps they were sold through those countries. Ah, Msr 87, you’ve still got it. The histoire of obscure French industry players, and the politics attached could easily be a subject about as juicy as a mummified muffin, yet you fail entirely to make it dull. The quips help (“..the Dauphine was really beginning to smell..”) but it’s also the sheer sweep of information that impresses. Like others, plenty of new information for me too, even from the mainstream. 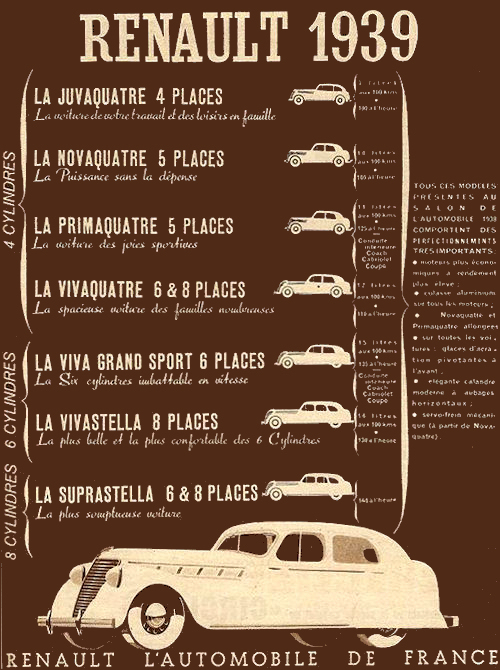 I didn’t know Renault made big 8-cylinder cars in the thirties (though it seems unlikely that the Supraestella in the graphic is quite THAT large). A small correction. It should be noted that not just Berliet but, in fact, no-one has yet fitted a pool as standard. I imagine when self-driving tech is perfected it will become fairly common.